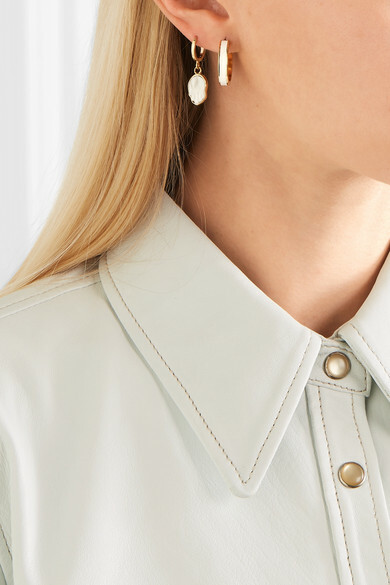 When shopping for a new pair of earrings, we always look out for styles that can be worn for a variety of occasions and look good stacked with other solo pieces. 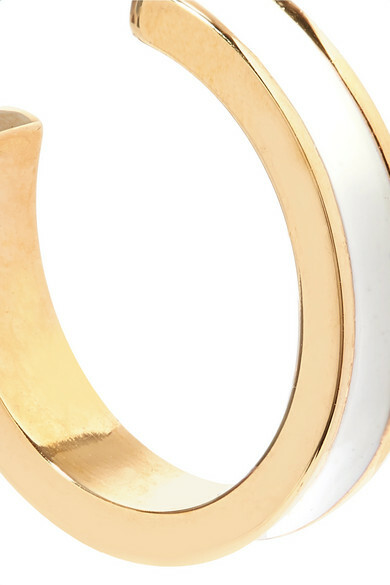 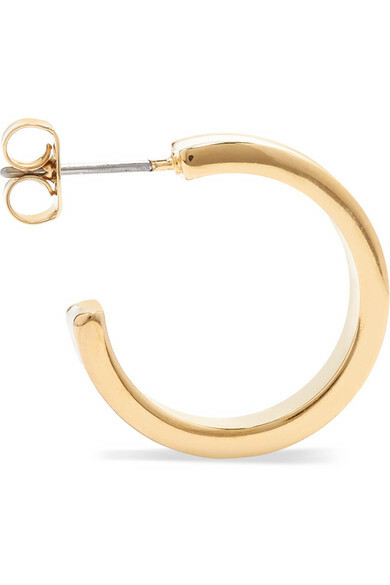 Fitting the bill nicely, Isabel Marant's hoops are made from gold-tone brass and detailed with white enamel stripes down the center. 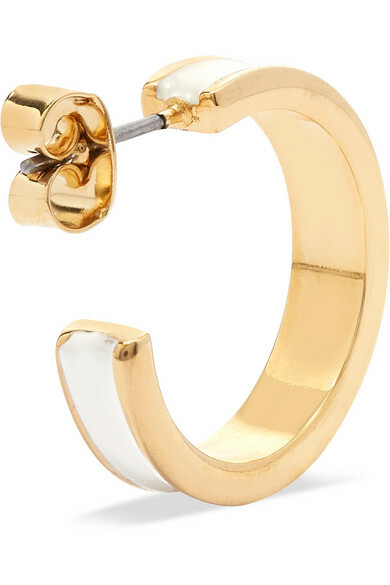 Shown here with: Isabel Marant Shirt, Isabel Marant Earrings.